Bolsanaro’s approach to Mercosur certainly proposes to shake things up regionally but falls short of being a ‘Braxit’ from the bloc. “Bolsanaro’s approach to Mercosur certainly proposes to shake things up regionally but falls short of being a ‘Braxit’ – although his priorities lie elsewhere, Bolsonaro should not spell the end of Mercosur any more than Trump the end of NAFTA. The idea of giving bloc members leeway for bilateral as well as multilateral trade agreements is no more than Argentina and Uruguay have been seeking in recent years (while Paraguay was briefly expelled altogether). President Mauricio Macri has expressed a strong interest in the Pacific Alliance while blaming Brazil for the delays in sealing a deal with the European Union. And nor could anybody say that Mercosur is beyond improvement. 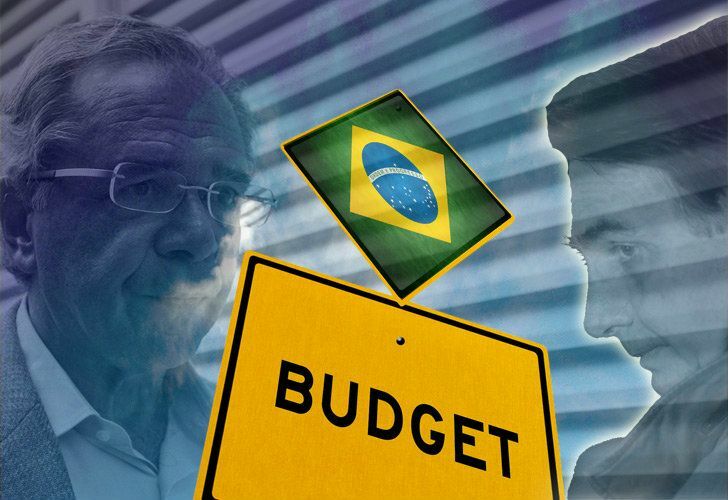 “You’re right about Guedes, the Chicago Boy who wants to reach the 2019 Budget goal of zero deficit immediately (if not sooner) from a starting-point of several percent of gross domestic product via drastic cuts including sweeping pension reform and massive privatisations – a gradualist he is not (but is he a superminister?). And yet the political conditions for gradualism apply even more to Brazil than Argentina, at least nominally – Bolsonaro’s parliamentary minority is much weaker than Macri’s with barely 10 percent of the Lower House (although I remain unconvinced that Brazil’s atomised Congress is not as venal as ever despite the massive backlash against corruption sweeping Bolsonaro to power). Yet Macri’s bigger parliamentary numbers do not necessarily make him stronger there – while Brazil’s Congress seems to lack either the prestige or the cohesion to stand up to an authoritarian president, I see the 2019 Budget as a tacit deal between Macri and the Peronist provincial governors helping them both to win next year and thus perpetuating gridlock (a gridlock which Macri feels unable and perhaps even unwilling to end). Cannot see anything resembling Brazil’s labour and pension reforms as in the pipeline here. “Your guess is as good as mine (indeed probably a lot better) as to how Bolsonaro resolves that contradiction between economic liberalism and militarism which you so aptly describe, plus which you have your own sources much closer to the ground in São Paulo. “Turning to Argentina, I find little to catch your interest because we are very much at a transitional stage – an extraordinarily tight monetarist policy (worthy of Guedes) has been adopted against stagflation without an end in sight for either leg. Recession is expected to last long enough to make 2019 a year of negative growth and yet that recession seems powerless to stop inflation – as does zero expansion of the money supply (at least as far as the index expected for last month is concerned). Perhaps interest rates of 50-70 percent are as much inflationary as anti-inflationary (as well as seemingly at odds with a frozen money supply). Nor is there any easy way out of the index-linking which perpetuates inflation. “Since the bicentennial year of 2010 there has been a fixed cycle of growth in electoral years and contraction in the intervening years but this streak stands to be broken next year because solvency (via cuts) has been made the focus of public spending, not electioneering – thus setting a trend which even a bumper harvest might not be able to reverse. “If the spending cuts in the budget were accompanied by tax cuts, there might be more chance of escaping recession. But it has been calculated that after dipping from 33.8 of GDP in 2015 to 31.9 percent this year, next year’s tax burden will top 34 percent – i.e. higher than the last year of Kirchnerism. This can be seen as the price-tag for political passage of the 2019 Budget, which could rise yet further in the Senate – the initiative of Federal Peronist senators to up the personal assets tax would be an example of this. All the easier for Peronists to demand these taxes to combine zero deficit with softer austerity because they can always pass them off as impositions of the International Monetary Fund (IMF) rather than their own fiscal greed. No sign of supply-side here – the opposite direction to Trump. In this context confirmation of a record IMF package (even if inching down from US$57.1 billion to US$56.3 billion) has done little to reduce country risk – not least because the next government will see so little of that money.